Educational models for patients. Model 102. Educational models for patients. Model 205. 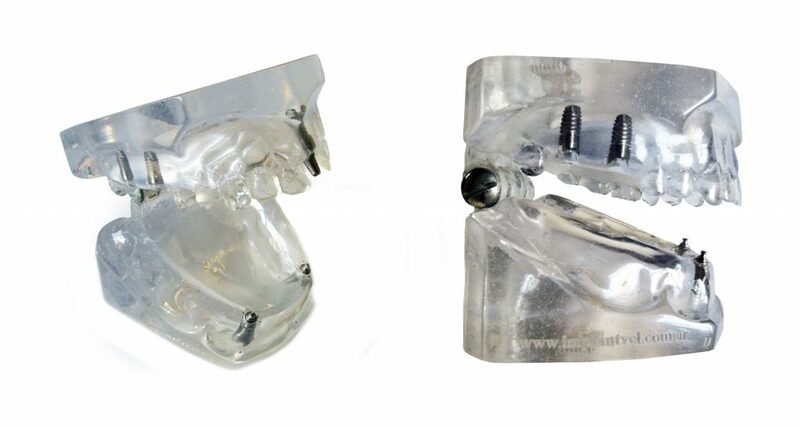 Jaw with two implants, plus two supra-structures Ball Attach (with no cups). Superior jawbone with one implant, plus one cementable supra-structure (central) and two implants in the side area. Acrylic Jaw and superior jawbone. Surgical stainless steel implants and supra-structures.